WHAT: A Tampa treasure and the only restaurant on waterfront Bayshore. The Colonnade opened in 1935, so after almost a century of operation you better bet this place has a concept that works. WHEN (To Go): When you are hungry for seafood but not the hefty price tag that comes with it. The Colonnade has quality seafood at reasonable prices. Unlike most fine seafood spots they don’t skip on the portions or the sides. Entrees are served with a basket of fresh, right out of the oven muffins and two sides. I repeat go when you are hungry. WHY: Because your life revolves around other Twentysomethings. Ever feel like everyone living in South Tampa is young? Well they’re not. And when you walk into the Colonnade you’ll remember. 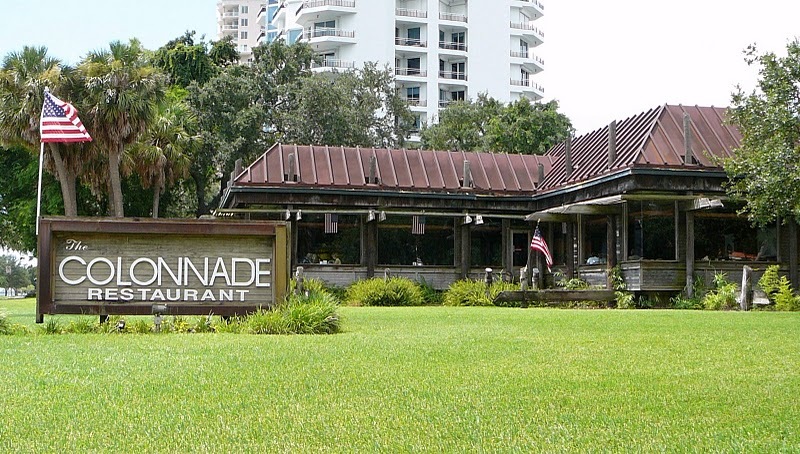 The restaurant’s old Tampa history and close proximity to a neighboring retirement community fill the ‘Nade with “Early Bird” patrons. You’ll probably feel a little out of place when you walk in, but get over it, the food is fantastic. WHO (To Take With You): Any adult family member visiting from out of town. Everyone expects to dine waterside when they visit from their landlocked homesteads, so take them somewhere with a view, food they will love, and a price tag that might make them think that they could spot you some extra “spending money” after the meal.